The 2018-19 season is in its last phase and clubs are putting all efforts to achieve their ultimate goal for the campaign. 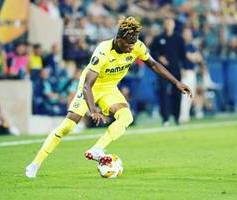 Samuel Chukwueze (Villarreal) : The youngster could see his club drop to the Segunda División next season if they fail to up their game as soon as possible. Semi Ajayi (Rotherham United) : The in-form defensive midfielder has scored six goals in his last five matches, but the goals weren't sufficient to take Rotherham United out of relegation water. William Troost-Ekong (Udinese) : Despite Udinese's brilliant start to the season, the Serie A side are staring at relegation from distance. They are not deeply involved in relegation battle but they need to halt their poor run of results as soon as possible because only two points separate them Empoli, who are 18th in the provisional standings.